If you're noticing a change in your overall health during the bundled-up winter months, it might not just be due to the common cold. Multiple factors contribute to poor indoor air quality, but among the leading causes for concern are clutter inside one's home. The more mess, the more chances for accumulation of volatile organic compounds (VOCs), dust mites, and mold growth. Do a deep clean on your home. Venture into dark and dirty places that haven't been seen since you moved in and give them a thorough scrubbing, then assess your work. The longer it takes to completely clean a home, the more chances there are of allergens and VOCs accumulating throughout your living space. Moving indoors for the winter also contributes to compromised indoor air quality, as the home isn't as well ventilated due to the cooler outdoor temperatures. 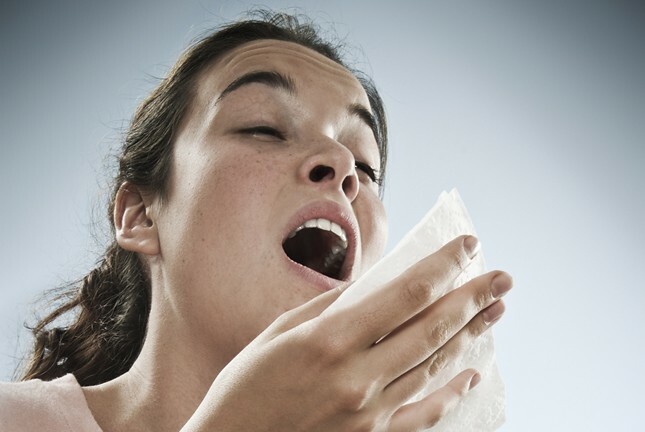 Then again, many indoor air quality factors are a result of outdoor allergens infiltrating your home. Pet dander, decorative cut flowers, and even allergens that travel via your clothing may contribute to poor air quality indoors, leading to potential long-term health issues depending on the severity. - Regular, thorough vacuuming of your flooring. - Wash bedding in hot water to kill mites. - Use a bleach solution to kill mold spores in your kitchen and bathroom. - Check and regularly replace your AC and heater filters. - Dust your storage areas, shelving, and cupboards on a regular basis to prevent hidden allergens from settling. - Remove the amount of clutter within your home and recycle old newspapers, replace old furniture, and haul away unwanted items. If you're up to your neck in stuff and you're tired of the sniffing nose and scratchy throat that plagues so many homeowners this time of year, take a cleansing step toward a decluttered living area and contact Happy Hauler LLC. With years of experience hauling away clutter, junk, and unwanted items from homes and businesses in an eco-friendly and responsible manner, we can help you find much-needed solace from your clutter woes. Give us a call or use the contact form to make a junk-hauling appointment today!